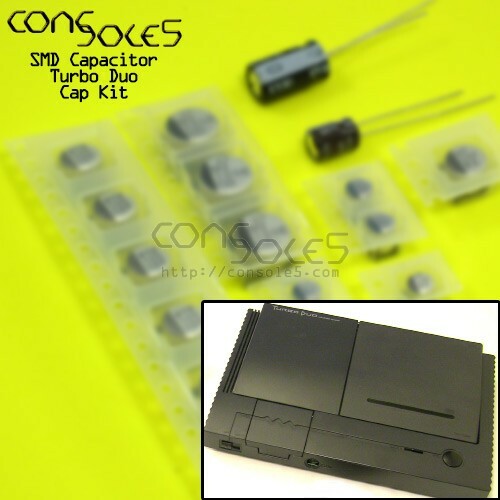 This kit contains all parts necessary to replace the SMD and leaded electrolytic capacitors in the NEC Turbo Duo. NOTE: SMD Capacitors require appropriate rework tools for easy installation. Also includes 2 surface mount 4.7uF ceramic capacitors to perform the jailbar fix. 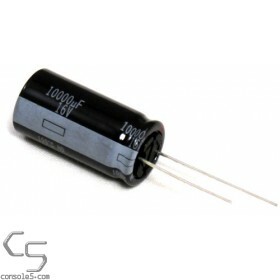 Receive an in-cart discount when combining this capacitor kit with one of the above items! For capacitor lists and maps, please see our Turbo Duo Wiki page.